Call Of The Snow Warriors: Sorry We are Now Closed! Sorry We are Now Closed! 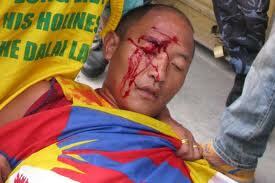 Self- immolations In Lhasa Tibet's capital. clueless about how long the ban would last. International Tour Service told AFP. of the 1989 Tiananmen crackdown on democracy protests. linked to the "recent social order problem". of Chinese authorities - a claim the government denies. of China in protest at repressive government policies, according to activists. the first such incident to hit the regional capital. unrest that subsequently spread to other Tibetan-inhabited areas of China.